The Civil War is the most written about event in United States history. There are an extraordinary number of books covering all aspects of the war from large overviews like James McPherson’s Battle Cry Freedom, Gary Gallagher’s books on The Union War and The Confederate War, Allan Nevins 8 volume set on the conflict, and Shelby Foote’s three volume set of books on the war. Like a lot of people, I started with Shelby Foote’s books, but over the years I have drifted towards more academic works. Unsurprisingly, all kinds of different authors have written non-fiction books on the topic. Some of these authors are academic historians such as James McPherson and Gary Gallagher, more literary authors such as Winston Groom (author of fiction works such as Forest Gump and Civil War nonfiction works Shiloh, 1862 and Vicksburg, 1863) and Shelby Foote, and an extraordinary number of independent scholars. I would not be surprised to learn that there are more self-published books on the American Civil War than any other American historical topic. Read the complete list at DailyHistory.org. Starting in 1787, states began to ratify the newly drafted federal Constitution which would determine the fate of the new American Republic. In order for the Constitution to go in effect, nine of the states needed to agree to the document. While five states quickly ratified the Constitution between December 1787 and January 1788, the country’s eyes stayed on Virginia. Virginia was the most populated and largest state and it was critical for the state to ratify the Constitution to legitimize the process. Lorri Glover’s new book, The Fate of the Revolution: Virginians Debate the Constitutionpublished by Johns Hopkins University Press, explores the dramatic battle that took place during the Virginia Ratification Convention. Virginia’s convention was notable because some of the most influential founding fathers had staked out positions on the Constitution in stark opposition to one another. As Patrick Henry, James Madison, James Monroe, George Mason and John Marshall publicly debated the merits of the new Constitution, the nation waited for a decision. Glover explores the constitutional questions that divided Virginia and shows how these questions are still relevant in understanding the Constutition. Lorri Glover is the John Francis Bannon Professor of History at Saint Louis University. She has written extensively about the early American Republic and the founding fathers. 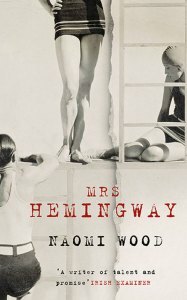 She has also written Founders as Fathers: The Private Lives and Politics of the American Revolutionaries (Yale University Press, 2014), The Shipwreck that Saved Jamestown: The Sea Venture Castaways and The Fate of America, with co-author with Daniel Blake Smith (Henry Holt Publishers, 2008), Southern Sons: Becoming Men in the New Nation (Johns Hopkins University Press, 2007), and finally All Our Relations: Blood Ties and Emotional Bonds Among the Early South Carolina Gentry (Johns Hopkins University Press, 2000). Recently on Twitter, a debate broke out between Annette Gordon-Reed, Sam Haselby, and John Fea on the nature of Thomas Jefferson’s religious beliefs. The debate centered on the questions of whether or not Thomas Jefferson could be described as a Christian and wanted the United States to be a Christian nation. Ultimately, the debate could not overcome the 140 character limitations of Twitter. Fortunately, Michael Hattem preserved that debate at Jefferson, Christianity, and Twitter. Instead of recreating the debate, it made more sense to contact one of the participants, Sam Haselby, whose recent book The Origins of American Religious Nationalism(published by Oxford University Press) examines how a conflict with Protestantism, in the decades following US independence transformed American national identity. Gordon Wood described his book in the New York Review of Books as an “impressive and powerfully argued book – that ….it was American Protestantism and not any sort of classical republicanism that was most important in shaping the development of American nationalism.” The Origins of American Religious Nationalism was published in 2015 and will be republished in paperback by OUP in December 2016. It made sense to get his perspective on the concept of American Religious Nationalism, the broad issues that underpinned the recent Twitter debate, and his understanding of early American Christianity. Sam Haselby is a visiting scholar at the Institute for Religion, Culture and Public Life at Columbia University and the editor of Aeon magazine. He recently published an article for Aeon entitled American Secular explaining why the secular movement failed soon after the founding of the United States. Logistics win wars. Logistics is the coordination of complex operations such as moving, housing and supplying troops and their equipment. War is the ultimate test of any logistician. During the Civil War, the Union troops fought almost the entire war in the South. Thomas F. Army, Jr. argues in his new book Engineering Victory: How Technology Won the Civil War published by Johns Hopkins University Press that the Union’s engineering prowess during Civil War gave it an distinct advantage over the Confederacy. Due to a superior education system, Northern armies had individuals who could use scientific ingenuity and innovation to rapidly build and repair roads, bridges, railways. Unlike the Confederacy, the Northern armies lacked the home field advantage. Dr. Army’s delves deeply into a aspect of the Civil War that most other historians have only discussed in passing. Read the rest of the interview at DailyHistory.org. The Harvard University Press recently published Lisa Goff’s new book Shantytown, USA: Forgotten Landscapes of the Working Poor. There’s a chance that one of your American ancestors lived in an American shantytown. While we may not realize it now, shantytowns were a common feature of 19th century America. Goff’s book explores not only how shantytowns became a prominent feature of America’s towns and cities, but why middle class Americans eventually turned on them and their residents. Read more at DailyHistory.org. Johns Hopkins University Press has wished Jane Austin Happy Birthday on her 239th birthday. 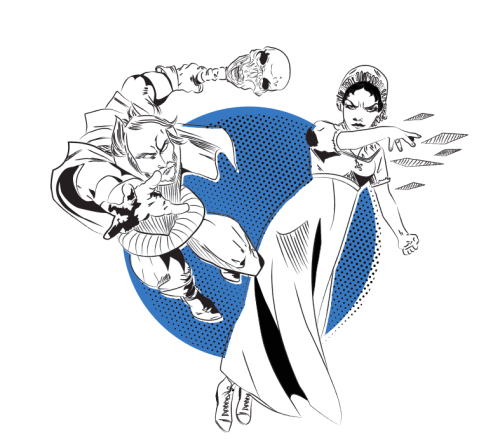 John Hopkins University Press authors will be curating a exhibit in 2016 dedicated to the cult of celebrity surrounding Jane Austin and William Shakespeare. Two hundred years ago, instead of being littered with gleaming glass towers and skyscrapers, Manhattan was home to thousands of wandering pigs and livestock. Antebellum Manhattan bore little resemblance to modern Manhattan’s gleaming skyline. Catherine McNeur, assistant professor at Portland State University, has written a new book, Taming Manhattan: Environmental Battles in the Antebellum City, published by Harvard University Press that explores a Manhattan filled with shanty towns, farmland and domesticated animals running loose in the streets. Her book examines the battle between upper class Manhattanites and poor New Yorkers over the direction and shape of the city. While poor Manhattanites depended on farming, domesticated animals and recycling the city’s garbage for their survival, wealthier residents were deeply concerned about sanitation, the threat of fires and epidemics, and the deepening poverty of the city. If you want to see more of her work, visit www.catherinemcneur.com. Why did you become interested in antebellum Manhattan? What was the inspiration for the project? As an undergrad at NYU I wrote an honors thesis about an architect who worked in antebellum Manhattan. I loved taking walks around the city, finding remnants of that era in the brick rowhouses and other buildings that are mixed in with more recent structures. The antebellum period felt both familiar and foreign and I loved that. A few years later after I had started grad school, I was searching for a topic for a research seminar and remembered reading about the hog riots that had occurred in the 1820s. The mere idea of that was amusing to me—hogs roaming the streets of Manhattan? !—and I wanted to look into it further. As I started doing research, the topic quickly expanded to include food, parks, shantytowns, sanitation and the like. How would you summarize your book? Ultimately, Taming Manhattan is a book about the dramatic physical, social, and economic changes facing the city during a period of vast urbanization. New Yorkers from all social classes found in the urban environment a means for controlling these changes, whether that involved maps, animals, parks, manure, food, or shantytowns. The progress that seems almost inevitable to us now in terms of cleaner streets, more green spaces, fewer epidemics, safer food sources, and fewer livestock blocking traffic hardly felt inevitable to the New Yorkers and other urban Americans witnessing those changes and often times the battles over those issues were highly contentious. There were a lot of people who lost when those steps toward “progress” were won. In Taming Manhattan, I focus primarily on those environmental justice issues. The Manhattan that you have described in your book is fundamentally different than today’s NYC. What differences do you think will shock your readers most about antebellum New York? I think for most people who know New York, they’ll probably be surprised by just how incredibly filthy it was. People today complain about Manhattan’s smells and grime, but it’s practically sterile compared to the nineteenth century. Often times New Yorkers forgot that their streets were paved because of all the manure, garbage, mud, and general filth that had accumulated on top of it. That said, while many antebellum New Yorkers complained heartily about the filth they encountered daily, there were many who truly valued the waste on the streets, from the city government that collected and sold animal manure, to the ragpickers who gleaned reusable and salable raw materials from the piles of trash. Today, most Americans never see hog farms, but they play a prominent role in your research. Hogs appear to have been a part of everyday life for the antebellum residents of New York City. Why did people have cows and hogs in the city? How pervasive were hogs in Manhattan? Hogs and other livestock had been a common part of urban life for centuries in New York City and most other cities and for quite some time people of all economic classes relied on them as food sources. By the nineteenth century, they were almost exclusively the property of the poor. Before municipalities outlawed livestock (which happened mainly in the nineteenth and early twentieth centuries in the United States), it wouldn’t be uncommon to find cows, goats, pigs, or fowl roaming the streets, let alone in dedicated stables or hog farms. Getting a true count for the number of hogs in Manhattan at any given time can be hard because many were kept illegally by the time the city or state began counting. An 1820 estimate put the number at 20,000, or roughly 1 hog for every 5 New Yorkers. From tourist descriptions, government documents, newspaper accounts, and diaries, it is clear that New York was well known to be lousy with hogs—first free-roaming, later confined in piggeries–in the antebellum period. The subtitle of your book is “Environmental Battles in the Antebellum City,” but these battles were not just environmental. Were they just as much battles between the nativists vs. the immigrants and the prosperous vs. the poor? Oh definitely, but the larger point that I try to make in the book is that the environment can’t be separated from the battles between classes, races, and ethnicities. In fact, it’s integral for understanding those battles. For example, it would be impossible to separate the increasing privatization and inaccessibility of park space in the 1830s from the growing class disparities in that period. Along a similar vein, the fervent nativism of the 1850s can be better understood when we look in detail at food regulation during that decade. Who were the biggest winners and losers as New York City sought to regulate farmland and undeveloped spaces? The owners of the livestock and the residents of shantytowns certainly had the most to lose. In each battle, though, the tally wasn’t always clearly in favor of their opponents. The livestock owners fought back, for instance, and kept animals on the streets for decades after the city had begun attempting to enforce anti-livestock laws. Political corruption also got in the way and protected some so-called nuisance industries while eliminating others. That said, through the increased regulation of the urban environment you see increasingly privatized and controlled spaces that didn’t allow for the same kinds of informal land uses that poorer New Yorkers once relied on. What surprised you the most during your research? I think the part that most surprised me most was how much nineteenth-century Americans embraced recycling (though they didn’t use that term) in a way that we might consider modern today. It’s typical to look back at the nineteenth century and point fingers at the Industrial Revolution as a moment when we became much more environmentally wasteful. But many types of manufacturers in the mid-nineteenth century actively embraced recycling as a way of obtaining raw materials. So much urban waste was reused—toothbrush manufacturers, button makers, fertilizer companies, and sugar refiners all used discarded bones found in the garbage heaps to make their products, for instance. Offal boilers transformed a lot of the food waste from garbage heaps into tallow for candle makers and soap makers. Whatever was leftover was fed to pigs and converted into edible protein. Regional farmers purchased animal waste from the streets. For several decades, Americans even embraced poudrette—processed human waste—as a fertilizer. This all would come to change, of course, and it would be a mistake to completely revise the way we understand the massive production and consumption involved in the Industrial Revolution. Still, modern recyclers are often confident that what they are doing is very revolutionary, that they are breaking with the past in a major way. In reality, there are some ways that nineteenth-century Americans were doing even more to find ways to reuse their waste. 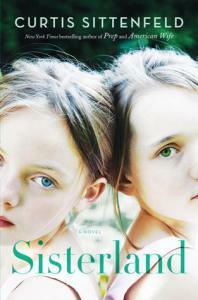 How would you recommend using your book in class? How can your book help understand environmental issues in Antebellum America? Ideally, this book will be useful in a range of different courses—whether they focus on the antebellum period, environmental history, urban history, city planning, public health, or the history of capitalism. The majority of environmental histories of America focus on the Progressive Era and beyond, so Taming Manhattan will add to our understanding about what was happening before the Civil War. Antebellum Americans were making dramatic changes to their urban environments, attempting to transform nature alongside the social conditions that seemed to be making cities unsustainable. In the process, they defined what kinds of land uses belonged in an “urban” versus a “rural” setting—definitions we often take for granted, or, alternatively, are working to revise today. Catherine McNeur’s book Taming Manhattan: Environmental Battles in the Antebellum City will be published this fall by Harvard University Press and is available for pre-order at Powell’s, Amazon, and Barnes and Noble. To learn more about her teaching and research, visit www.catherinemcneur.com. You can also check out the DailyHistory.org Bookshelf at Powell’s Bookstore. 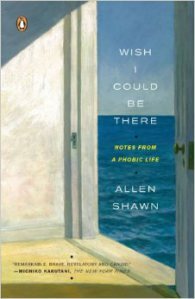 Tales from the Reading Room have a review of Allen Shawn’s memoir Wish I Could Be There. Allen’s book explores how his agoraphobia has shaped his life and career as a pianist and composer. This is a fantastic review of Shawn’s book and makes a strong argument for why you should read it. The feeling of panic that overwhelms the sufferer of a phobia must be one of the most unpleasant feelings that we are routinely forced to endure. I think that being set upon from behind and strangled must be akin to it – the increasingly laboured fight for breath while the heart hammers in terror, digestion deliquesces, vision dims and dizzies, sound is cut off and comes from far away. But worst of all, the urge to turn and run, fuelled as if by the energy of a nuclear explosion, has to be ignored. The phobic must sit and smile and try and look normal, while inside chaos rages, the Titanic sinks, great earthquakes rent the foundations of the self. Oh yes, I speak from personal experience.